Fans have been murmuring about the meaning of recent social media photos depicting band members in football gear, and this question will shortly be answered with the band releasing a teaser gif along with a Friday 5 a.m. PT release date. 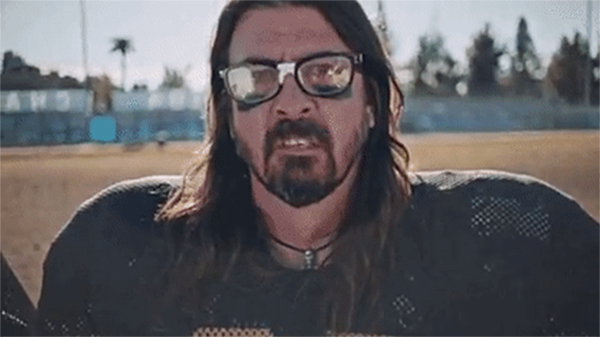 The gif opens with the large retro titles “SUPER SATURDAY NIGHT” and cuts to a brief shot of Dave, decked out in a football jersey over shoulder pads along with broken thick-rimmed glasses, snarling into the camera. The pieces were beginning to come together when extras posted photos with Dave and Taylor after what one described as a video shoot, as well as a tweet from Fox NFL Sunday host Curt Menefee from another blue-screen set. The attached photo showed Curt and fellow commentators Terry Bradshaw and Good Morning America co-host Michael Strahan being directed by Dave as they donned seventies-style costumes. The commentators can be seen in the photo reacting to a pre-filmed video in the corner of the screen. 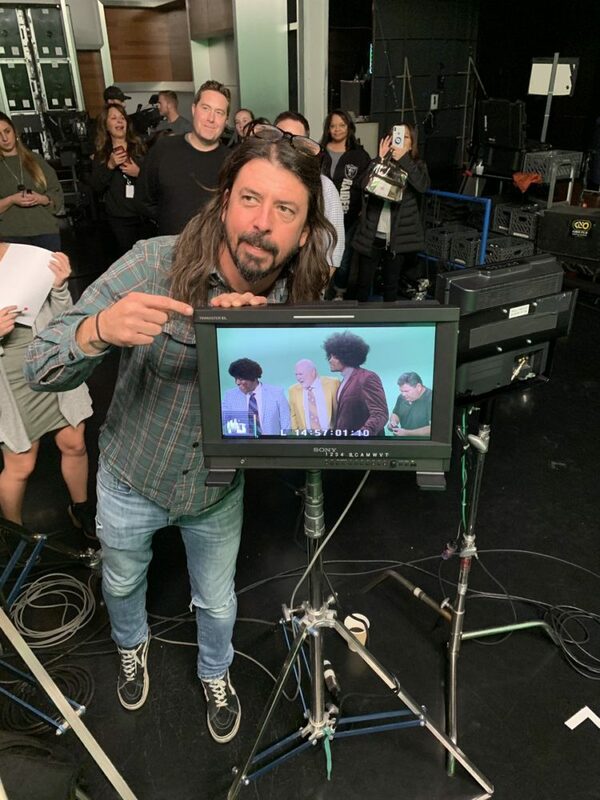 The video appears to be a teaser in the lead-up to Foo Fighters’ pre-Super Bowl show in Atlanta on February 2. A custom-built, three-tiered temporary venue for the event is near completion near Atlantic Station, at the crossroads of the two major thoroughfares, with a capacity of roughly 6,000 people. The show, DIRECTV Super Saturday Night (hence the titles in the gif), will also include Run The Jewels. The event is sold out. More information on this teaser will be added to FooFightersLive.com upon release. Update 4am PDT: A second teaser gif has been posted, this time with Taylor descending the stairs of an old bus, with a gathering of supporters waiting at the bottom, in similar football gear to Dave’s with the number 6 on it. As yet, it is not known whether any previously released song(s) will feature on the upcoming video drop.